I take delight in shopping for holiday gifts as much as anyone else, but what I really get enthusiastic about are stocking stuffers. I love filling stockings with sweet surprises that bring just as much joy as the actual gifts if not more. 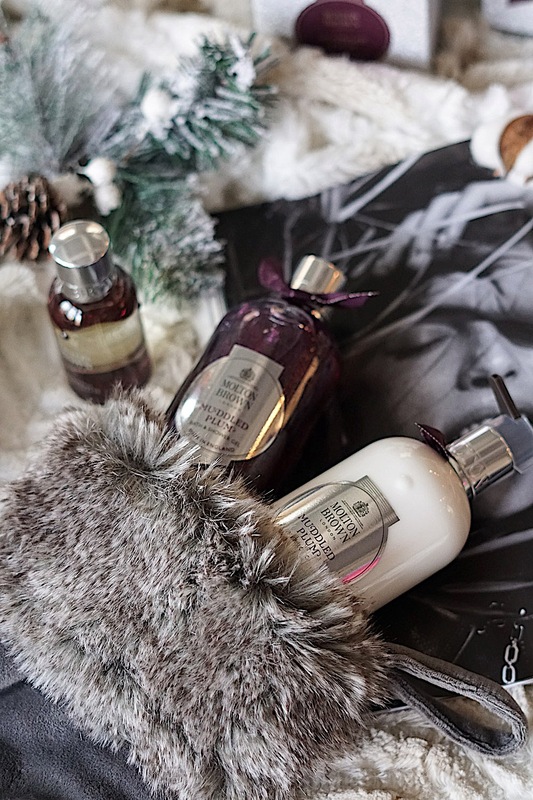 My go-to stocking stuffers for beauty lovers, hostesses, and all the women in my family come from Molton Brown. Molton Brown is a brand that began in London and became known as one of Britain’s first luxury home and hand care products. 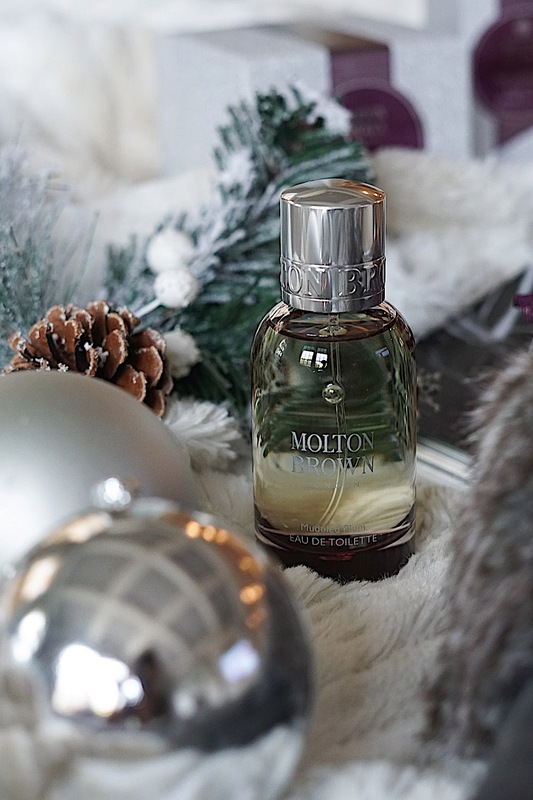 During the holidays, Molton Brown launches exquisite holiday gift sets and limited editions that are not only luxurious, but also leave my skin feeling amazing and smelling incredible. I am obsessed with their latest collection, the Muddled Plum Collection, which is extravagant, opulent, and the perfect stocking stuffer for almost everyone on your list. 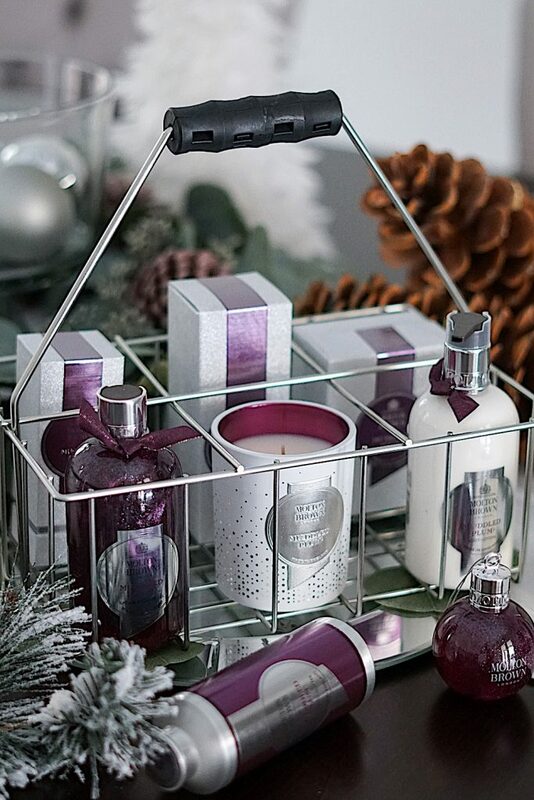 There is just something about that deep, plum hue, the sparkly packaging, and the celebratory fragrance that gets me excited for the holidays. The collection includes a variety of products, such as their iconic Bath & Shower Gel, Body Lotion, Eau de Toilette, Single Wick Candles, and novelty items such as the Festive Body Wash Bauble and their Scented Glitter. I’ve been using Molton Brown’s Bath & Shower Gel and Lotion for years. I love the different variety of fragrances they offer and their new Muddled Plum Collection is intoxicating. It fills my bathroom with notes of oak-aged rum, saffron, and plum and it lathers so rich and foamy. Following my shower, I use the Body Lotion which is hydrating for winter skin and also leaves my body perfumed in a festive aroma. 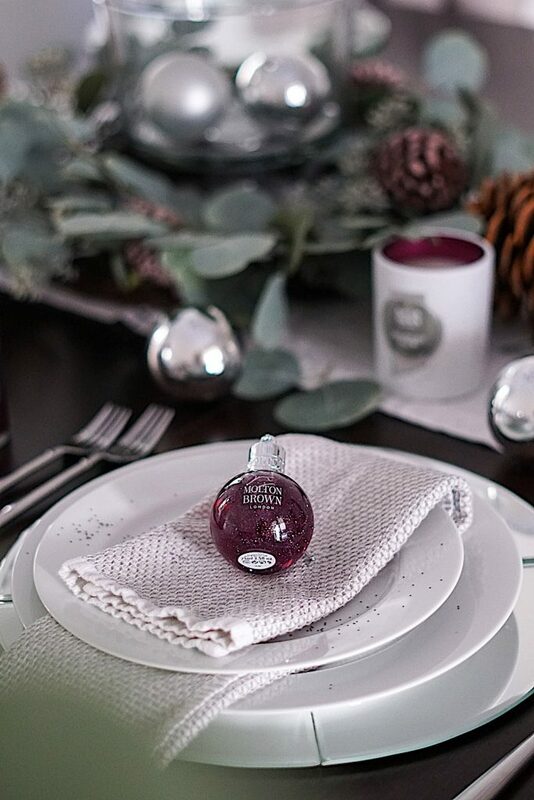 For the beauty lover in your life who likes to change her scent from time to time, their Muddled Plum Eau de Toilette is the perfect size to take on the go. 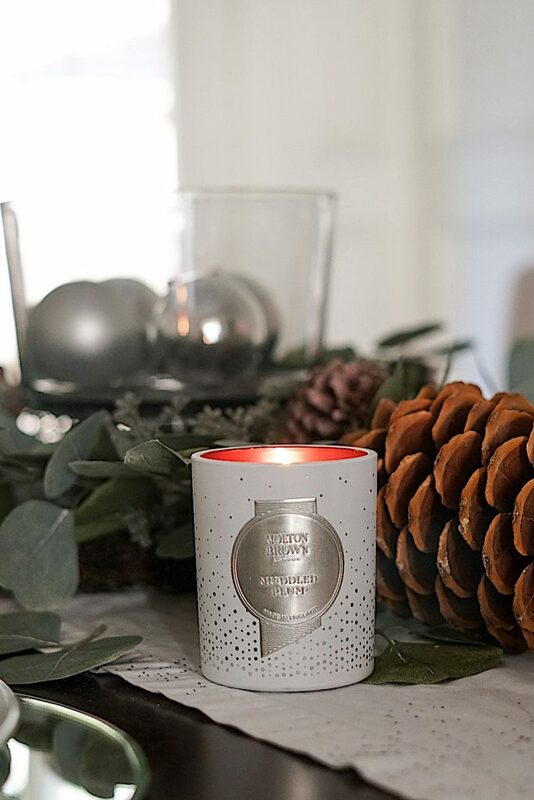 With the same rich notes as the rest of the collection, this fragrance is tantalizing and intoxicating and ideal for winter. I like to pair this with the body lotion for extra aroma. I personally love receiving and giving candles during the holidays because it’s something I want but wouldn’t necessarily purchase for myself (which is why they make a great gift idea). 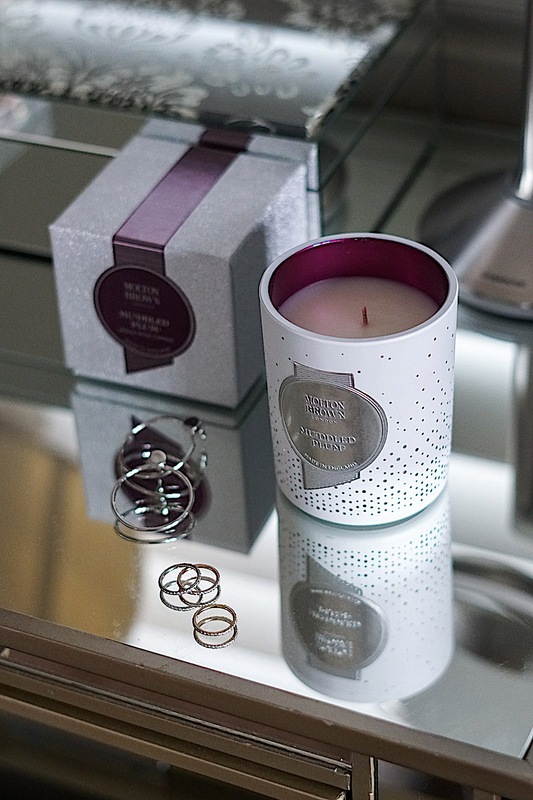 The Muddled Plum candle is beautifully packaged in white and silver and fills the room with a warm, elegant glow. The lavish fragrance lingers ever so slightly and creates the most joyous atmosphere. This is perfect for the dinner table and even on the nightstand to relax you before you sleep. This adorable ornament filled with the Muddled Plum Body Wash is such a festive and charming stocking stuffer! I plan on giving this ornament to all of my kids’ teachers along with the Single Wick Candle for the holidays. Not only could you give these baubles as stocking stuffers, they would also be fabulous as a table setting gift for a holiday party! Who doesn’t love a little glitter during the holidays? 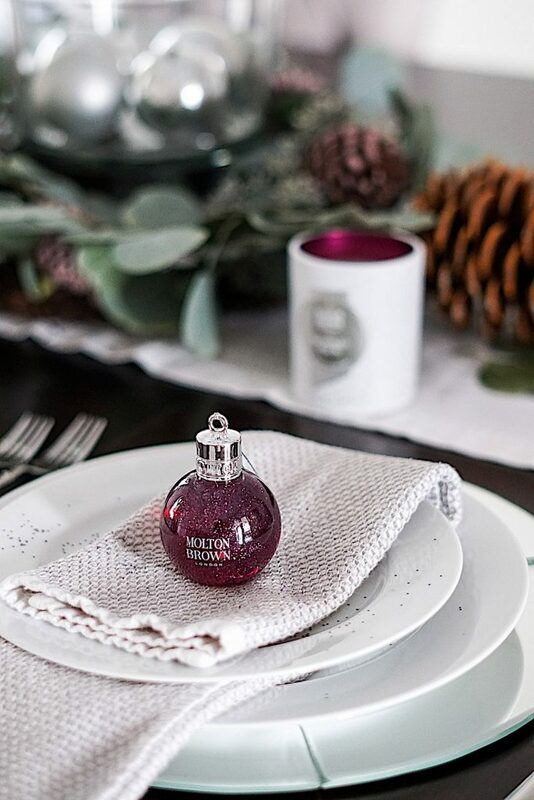 The Muddled Plum Scented Glitter decanter has biodegradable glitter that transforms your dinner table, Christmas tree, or gifts into a luxe winter wonderland. I use this glitter on my tablescape to add some extra glam, but it also smells amazing with notes of orange, saffron, and oak-aged rum. 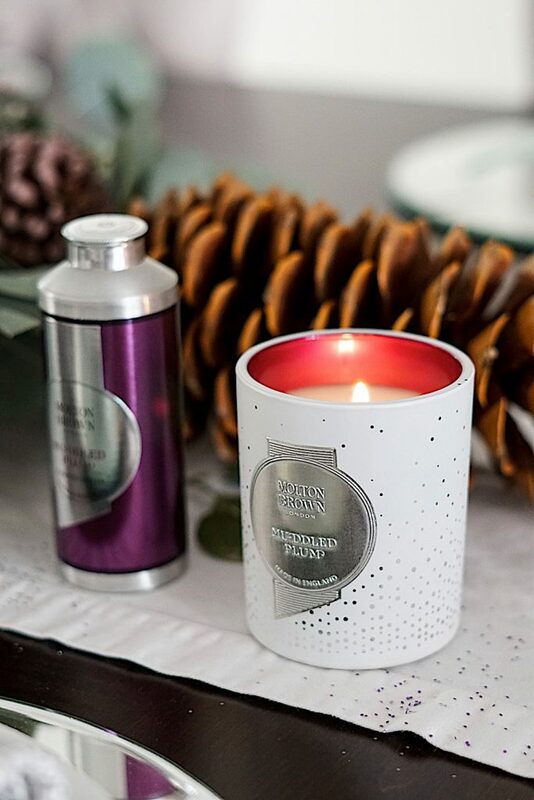 The Muddled Plum Collection by Molton Brown has so many great stocking stuffer gift ideas where you can pick and choose different items or get the entire collection as a gift for someone in your life. Which are your favorite items from this limited-edition collection? A special thank you to Molton Brown for partnering on this post. I am all about luxurious body washes and lotions and candles! The perfect hostess gift and also for myself. The packaging on this collection is so festive. Thanks for sharing! I can’t wait to smell this scent!! I definitely need to start checking out these cute little stocking stuffers! I’ve tried their products before and they smell amazing. This Muddled Plum sounds perfect for the holidays. That ornament is too cute too and the perfect stocking stuffer! I love Molton Brown products! This collection looks so lovely and perfect for the holidays. I will definitely get the body wash and lotion for my kids’ teachers and one for myself too! These stocking stuffers are so pretty <3 🙂 I love the packaging so much! Everyone love to receive a little luxury stocking stuffers during holiday season. The Muddled Plum Collection by Molton Brown has so many amazing t stocking stuffer gift ideas and thank you so much for sharing this. I could see myself buying multiple sets for family members and friends. The packaging is so festival and beautiful. The Muddled Plum Scented Glitter decanter and The Muddled Plum candle are two of my favorite items among all. They will also make a winner host gift. Your pictures are so beautifully taken and make every single item from The Muddled Plum Collection so desirable. Theses ideas are amazing to stuff inside the stockings ! These are the most beautiful stocking stuffers… I know for sure they would put a smile on my face. I love the scented glitter! They look so luxe and would be the perfect gift for this Christmas. Thanks for sharing Christine! I love this brand, and I’m definitely going to grab some of these for Christmas stockings! Thanks for the idea dear. The little body wash ornament is so cute! I’ve never heard of this brand, so thank you for sharing with us! I loved this post! I am still so behind on gift buying! 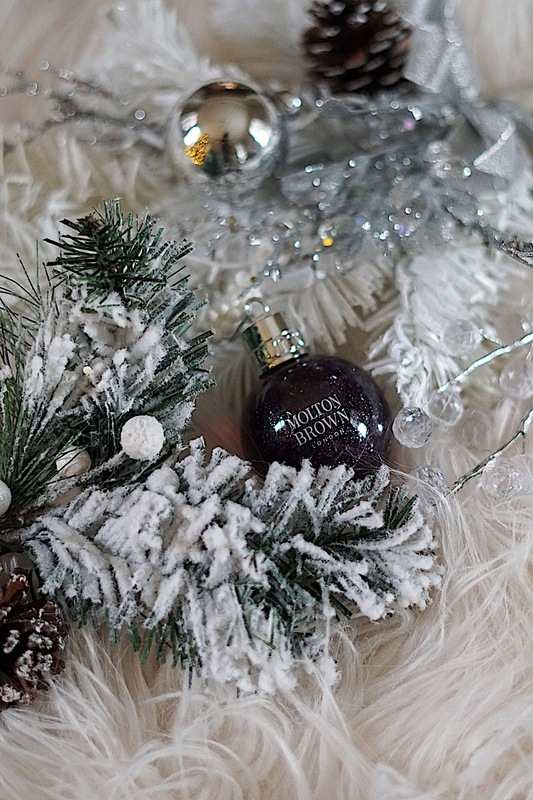 Molton Brown is the perfect stocking stuffer for all the ladies in my family and friends! My mom has been a fan of Molton Brown since she was a teenager, and I have always grown up with their products in my house. I have to pick up a few of the candles!